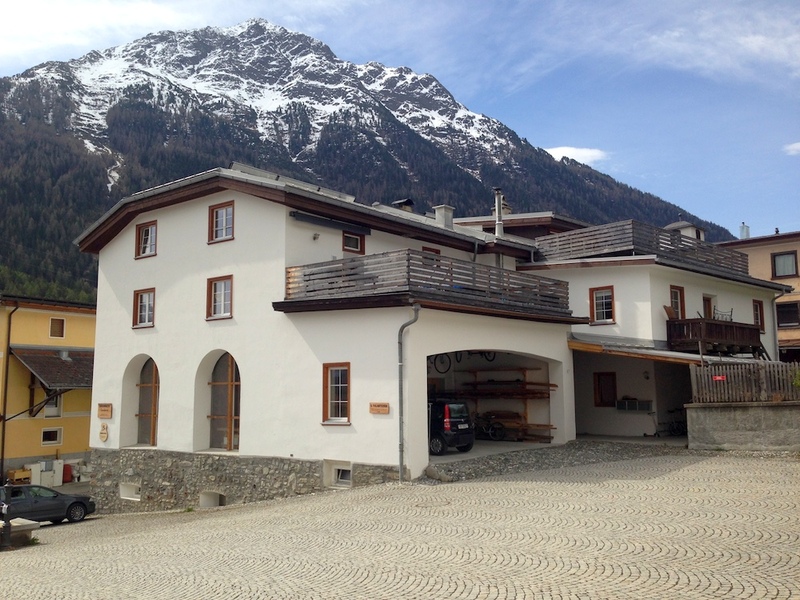 We are located in one of the most beautiful valleys of Switzerland called Engadin. Lavin is an old, small town in the middle of the valley surrounded by high mountain peaks. The spectacular scenery, the old historical houses and the interesting culture offer a wide variety of things to do and see in summer and winter. It has been a real privilege to live and build guitars in such beautiful setting since we moved here in 2000. You are welcome to stop by for a visit any time on workdays. To be on the safe side, please give us a call to make sure we are around. Our shop is located in the middle of town easy to find. We always have a few guitars in stock hanging in our show room for you to check out! We also offer a couple of holiday accommodations if you’re interested in spending a holiday in this area. One is a bigger beautiful place for up to 16 people and the other is a smaller cozy hut for a maximum of 5 people.